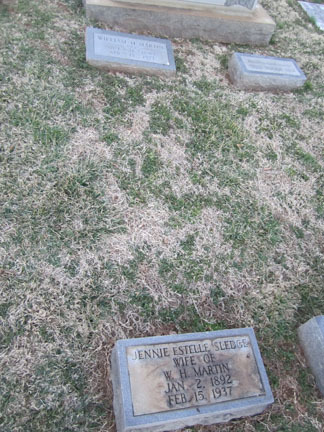 This is a photo showing both William Henry Martin & Estelle Jennie Sledge Martin's headstones. William was buried in the same grave as Estelle, 40 years after she was buried in it. Notes: In Winston-Salem, Forsyth County, North Carolina. Just off of 421/Bus 40. On the corner of Cemetery St & E Salem Ave. This is a VERY BIG cemetery!!! Not easy at all to find certain people! 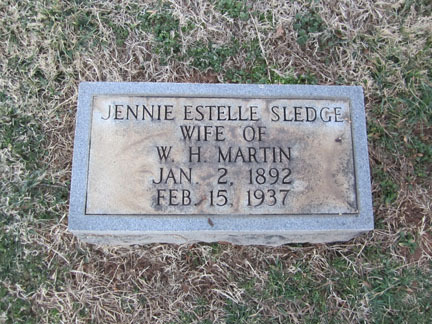 This is Estelle Jennie Sledge Martin's headstone. Her husband, William Henry Martin, was buried in the same grave, 40 years after she was buried in it. 3 William Henry Martin's headstone. 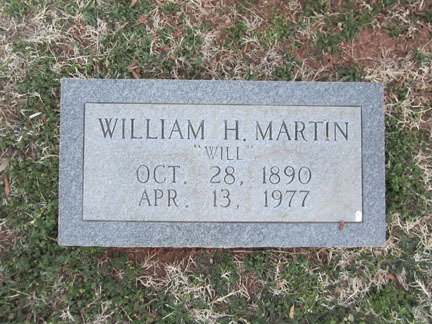 This is William Henry Martin's headstone. He was buried in the same grave as his wife Estelle Jennie Sledge, 40 years after she was buried in it.